Tweeting at twitter can be much more than just sharing news or promoting your blog-posts. 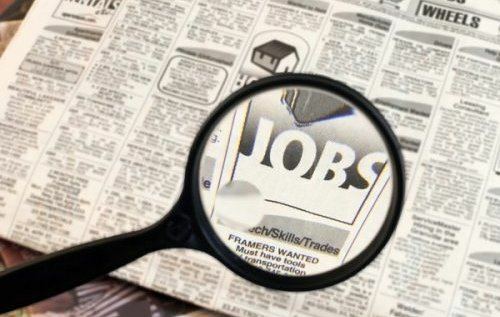 With tough economic times, thereâ€™s call for more innovative ideas and one may do that with finding jobs as well. With around 6 million users, you can exploit the power of Twitter to accomplish your quest for the hottest, most recent best paid jobs. Adding few lines about yourself and using variety of useful tools for creating professional portfolio can introduce you to opportunities and land a job, gain credibility in your field, and also help build good and meaningful professional networks. But only, joining Twitter and having many followers will not land you a job. For that, you have to take some well defined measures. Hereâ€™s how you can make twitter work for you to find jobs. Make your profile employer-friendly. For that you may write about your job quest in the twitter bio (160 characters) and upload your real image for the twitter avatar. Have a Good headshot image of yours. Donâ€™t put any images from a birthday party or picnic and neither leave your avatar with default avatar as nobody would be willing to share anything with a faceless user. Preferably, have a formal picture and the same picture that youâ€™ve in all social networking sites to avoid confusion. Put your real name or good variant of your name. Donâ€™t write anything like â€œMax Red_Hotâ€. Your real name or a good variant which tells y0ur professional interest is good, like â€œblogger_maxâ€ is better. Make good use of your twitter background. You may create your own custom background using twibacks or you may also order one using premium services of twitterimage. Ascertain yourself as an effective professional. Be careful when write about your skills and make your tweets relevant. Obviously, you donâ€™t act as a lawyer if you are not one. In order to be an present yourself as thougtful and serious professional, tweet about thing you are passionate and knowledgeable about. Remove spammers and disinterested people from your followers list. Be more conversational by asking questions and reply to others if you know the answer using @ function. Knowing and meeting right people. To know about people, who can turn out to be good contacts and also people who are looking for a person like you, you may consider following points: (1) their bio (2) Follower/Following ratio (how long theyâ€™ve been around and do they follow back?) (3) visit their website (4) Ask others about them. You can use twubble to figure out who your followers are following and you can have a huge network. Try and follow the major players of your industry. If youâ€™re not sure about them, try twellow to find the real players. Thus, you can have a great opportunity to interact with them and put yourself on their radar. Engage yourself and others. Post interesting tweets. Its better and more effective to post interesting quotes or helpful tips rather than when you slept or what you shopped. Check your industry blogs and post good articles, also your own thoughts about them. You can use TwitterFeed and TweetLater for saving time. Donâ€™t forget to answer relevant tweets and re-tweet as communication is a two-way process. TwitterJobSearch.com: TwitterJobSearch.com is a social media job search engine and is a product of WorkDigital Ltd.
microjobs: Brian Solis, well-known PR professional, @Microjobs was developed to bring together job seekers and recruiters through tweets. Recruiters begin their tweets with @Microjobs, and then submit. The @Microjobs account automatically tweets out requests to its growing network of job seekers. tweetmyjobs.com: TweetMYJOBS is a service that brings recruiters, hiring managers and job seekers together on Twitter. Follow the hashtag #Tweetmyjobs and visit the website. You can subscribe to desired job channels and have new openings automatically sent to your mobile phone. Thereby, you get instant notification of open positions via text messaging.